WEBIZ provides online marketing solutions as a professional SEO, web designing and web development company. Why we continue to emphasize on the word professional has a lot of importance. There are several firms that will provide you online marketing solutions in all possible colors and flavors however in an amateur way. They definitely know a few things here and there but only a professional web development and online marketing company is aware of all the nooks and crannies of internet marketing. One silly mistake from developers, search engine optimization experts of web designing specialists can lead to Google penalty. A Google penalty is like a hammer strike on your website when Google finds out that your website’s marketing and development is in conflict with Google’s algorithms. Your SEO firm might be using black hat methods to get you good ranking. Your website development might have been done clumsily resulting in long and unnecessary strings of codes that make your website slow to load. Your website content might be having duplicate text, unnecessary use of keywords and hidden keywords. Your website’s internal links might be broken and your external links might also be in the same condition. You might have used link swapping too much or back linked your web pages on irrelevant websites. There are hundreds of other things that could result in Google penalty. The Google penalty will either completely remove your website from its search results or hurl it way down in the search results. You might end up from page 1 to page 10 of search results for the same keyword. However, when professional SEO experts, web designing specialists and web developers are working on your website, you can rest assured that your website won’t be penalized in the first place. If you have already been penalized by Google, we can still help. 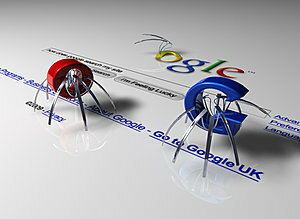 WEBIZ uses several tools that can help a website get back to its feet after a Google penalty. Of course it needs a lot of work but to get you back to your position we are willing to put in our best efforts. Call us right now if you fear a Google penalty or you have already received one and want to recover from it.